Volvo S90 is available in 10 different colours - Crystal White Pearl Metallic, Luminous Sand Metallic, Black Stone, Liquid Blue, Bright Silver Metallic, Ice White, Osmium Grey Metallic, Electric Silver Metallic, Havana Maple Brown Metallic, Denim Blue Metallic. VOLVO S90- Undoubtedly the King! The luxury sedan will be offered only in the ‘Inscription’ variant! 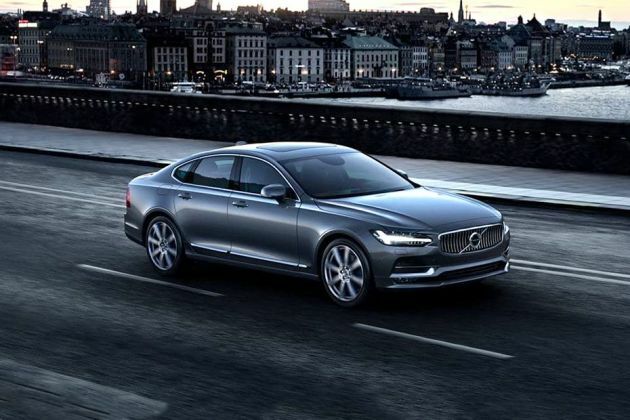 At launch, the S90 will only be offered with the 'D4’ 4-cylinder diesel engine.